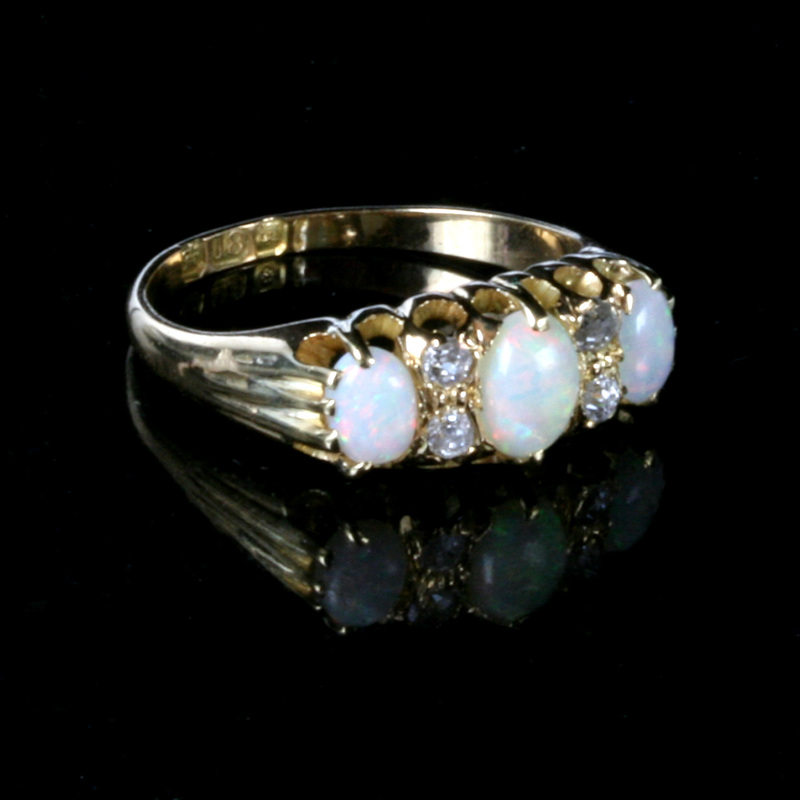 Antique opal & diamond ring from the 1900’s. Product code: 1398 Categories: Sold Items, Sold Rings. 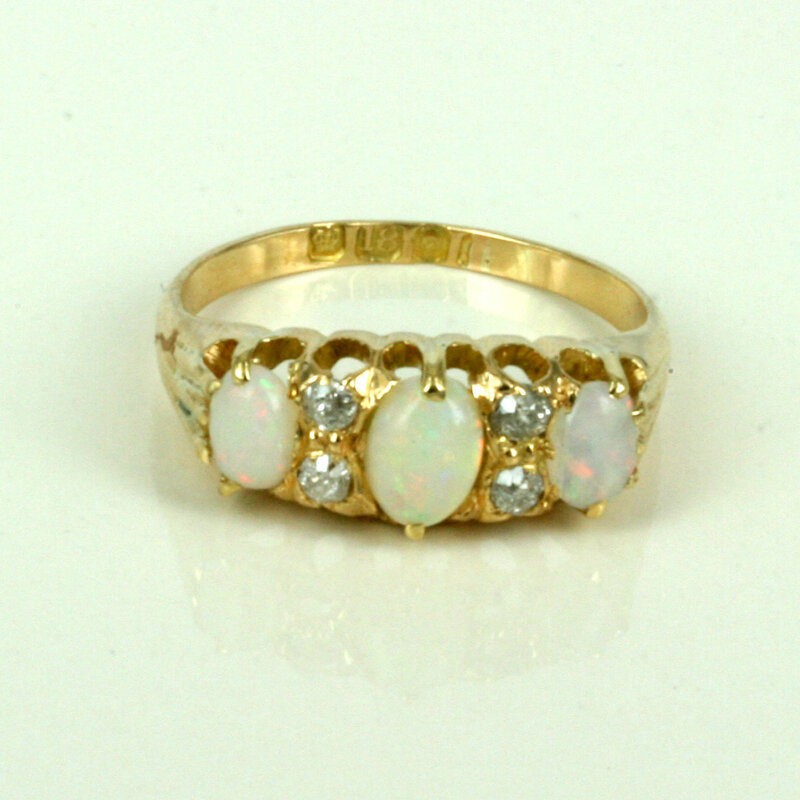 Made in 18ct yellow gold, this antique opal and diamond ring dates from the early part of the 1900’s and is set with three solid white opal and 4 diamonds. The opals are still in wonderful condition with a great amount of colour, and will get attention every time that it is worn. 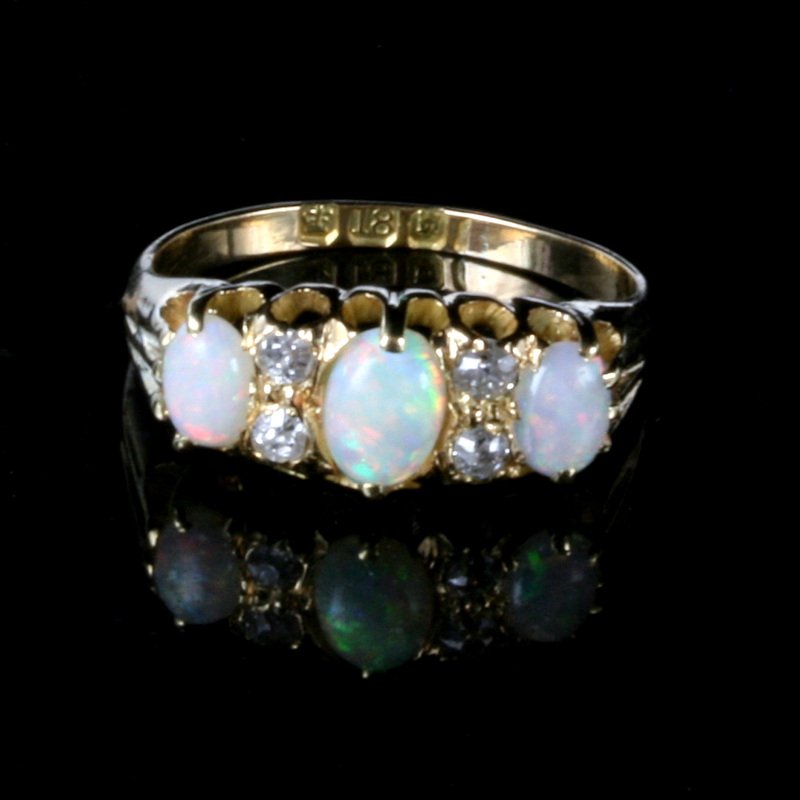 With the style and design so typical of this era, this antique opal and diamond ring will be cherished.